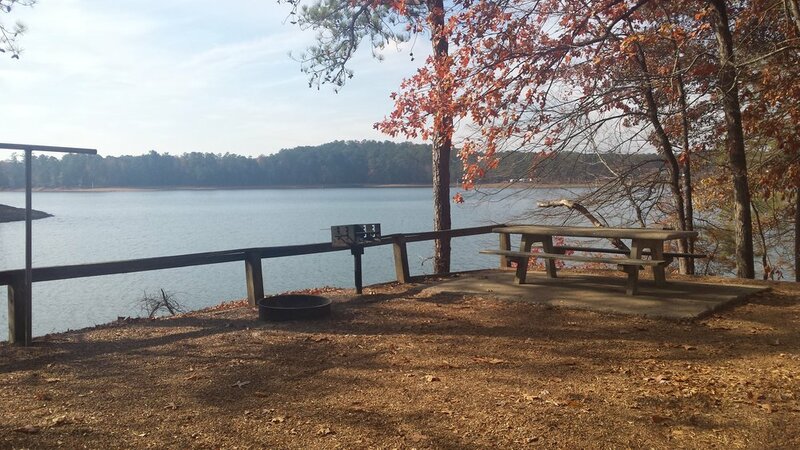 One of our favorite campgrounds near Atlanta, McKinney is a Army Corps of Engineers facility on Lake Allatoona. It is convenient to everything (and near to our family!). Lake Allatoona is fine for boating and fishing, though often crowded since it is so close to the city. The campground is well maintained, with quite a few sites overlooking the water. A swimming beach is accesible within the campground as is a boat launch. Just north of Atlanta along I-75 you will find Lake Allatoona. McKinney Campground is located at 6659 McKinney Campground Road SE in Acworth, Georgia. From Atlanta, take I-75 North to Exit 278 Glade Road. Mske a right and follow Glade Road SE to Kings Camp Road SE, take left to McKinney Campground Road. 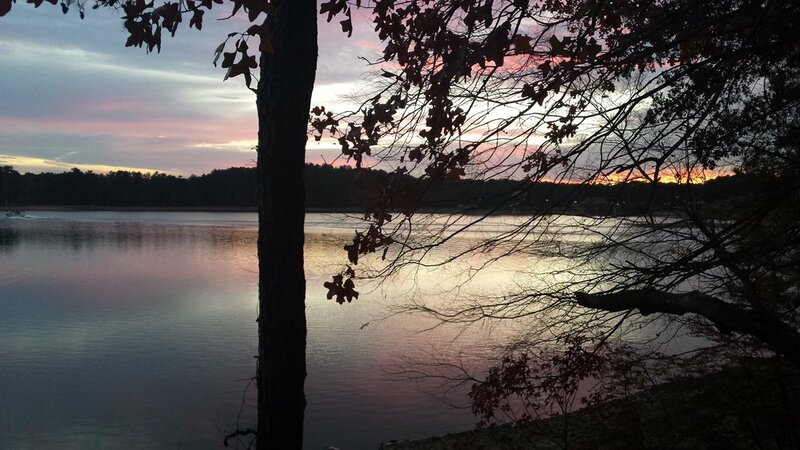 Lake Allatoona offers boating and fishing as well as several swimming areas. McKinney has its own swimming beach, a boat launch, and a dock. We enjoyed kayaking around the shore since there is a lot of motor boat traffic on the lake. Mckinney offers 150 campsites, some right on the water, with shower facilities in several locations. All sites have electircity, water, picnic tables, fire rings and some also have barbeques. The sites are relatively level, so camp set up is pretty easy. The sites are spacious so, even when the camp is full, you feel like you have a little space around you. Reservations are site specific and can be made through a link to reservations on their webpage.